BBC’s Jamaica Inn – excellent stuff! Am I the only veiwer in the UK who liked BBC1’s recent production of Jamaica Inn? 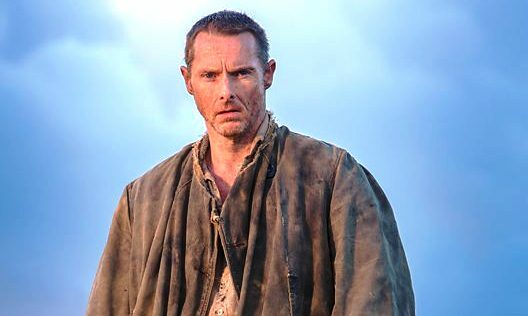 True, I could only understand about two-thirds of Joss Merlin’s (actor Sean Harris – see photo) mumblings – but the drama was set in Cornwall, for goodness sake! Have any of those that complained actually been there? I have Cornish relatives and I spent a lot of time there when I was younger. Also, the last firm I worked for had its head office in Falmouth. My recollections are that I only ever understood about two-thirds of anything the (real) locals said. I made up the rest. It’s amazing how agile and inventive one’s brain can be when faced with strong accents and dialects. It’s that time of year again. Scotland’s answer to Chelsea opened today. I haven’t been to the Chelsea show for thirty years (thirty? Sir, you jest! Forty, more like…). All I remember about it is a massive tent, unbearable heat and wall-to-wall crowds. I understand that the tent has been replaced with a more suitable structure, but judging by what I saw on TV during last week, the tent has gone but the crowds and the heat are the same. While I am on about TV, it seems that Chelsea has been renamed the M&G Show – blatant, unashamed advertising by the beeb. These massive shows have always been sponsored, but it was always done subtly, in a British way – not by Alan Titchmarsh opening every programme with “…brought to you by M&G”. When I first heard it I did a double-take, I thought I was watching ITV. So, not good enough, guys. Someone deserves rapped knuckles. If my old primary school teacher was still around, she’d sort you out. Meanwhile, North of the Border, we have had passable weather (so far). Perfect, in fact, for a garden show. The Meteorological Office (I love saying that, it sounds like I’m speaking with a mouthfull of marbles) predicts more of the same. Three days of sunny intervals. My favourite local garden centre and nursery, Pentland Plants, assembled a magnificent floral display based on the Union Flag – very appropriate for the Queen’s Diamond Jubilee weekend. Somehow they managed to get the best spot in the show, the first stand you see as you enter the main hall. If you use Facebook you can get a much better, bird’s-eye view here. Note that they got a Silver Gilt. 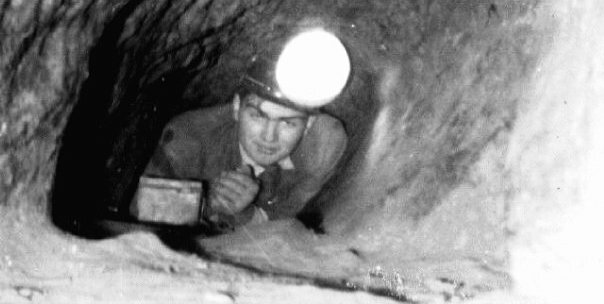 When I was younger I went potholing – though in my part of the world it was more commonly called caving. For years I spent most of my weekends underground, which is probably why I still can’t tell one end of a football team from another (that, and the fact that my school didn’t have its own playing field and the council couldn’t always find one for us to borrow, so ‘sport’ was almost unknown to us). What you don’t know about, you don’t miss. The potholes we have in Scotland are quite different. In the last twelve months motorists have reported 25,000 of them and councils are spending a fortune repairing them. A few miles from where I live about twenty of the things appeared over a few days, a row of small but very effective tank traps. Driving past them I was baffled by the way some drivers swerved to avoid them regardless of whatever else was on the road, as if colliding with something coming the other way or squashing a cyclist was a mere trifle compared with the consequences of bouncing in and out of a small hole (or even a BIG hole). However, help is at hand. In rush hour the other day (okay, joke. In the bad old days it really was rush hour, 8 to 9 in the morning and 5 to 6 in the afternoon) I passed two elderly roadmen equipped with shovels and a council lorry. They were darting (not that anyone that age can dart, especially when carrying a shovelful of asphalt / blacktop / Tarmac) between passing cars in an attempt to fill the potholes. They were in no danger whatsoever, as the motorists using this stretch of the Queen’s Highway (can I say that in Scotland?) are well-used to avoiding things (see Para 2, above). My personal belief is that they were a strategic reserve, a potholing Dad’s Army, called in by the council to sort things out (think New Tricks). What I did not know, and as a geologist I am ashamed to admit, is that Scotland has caves/potholes other than those that plague our roads. See this. I see that a Christmas panto in Glasgow has violated the Geneva Convention by using a red cross on a nurse’s costume. I put a red cross on my household first aid box (red, because at the time I didn’t have any green tape – and anyway, red was okay for first aid box crosses when I was a boy so when did the world change, and why?). Does this mean I’m about to have a visit from the colour-of-cross police? 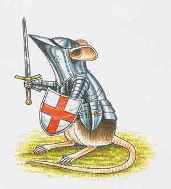 Lichfield Heritage Centre had better watch out, because if the Red Cross perseveres with this nonsense then the Lichfield mouse (see left) will soon be for the big mousetrap in the sky. Why stop at pantos and mice? 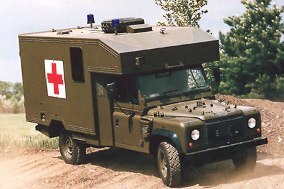 Why not have ago at all those ambulances* (not just in the UK, but worldwide) that dare to use the symbol? Or would that problem be harder to crack than the local kids pantomime? Film producers be warned – if you are planning a documentary about the Crusades then you had better forget it, because the symbol is sacrosanct. The fact that it has been used elsewhere for hundreds of years apparently means nothing. 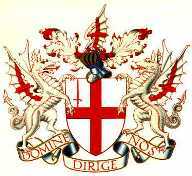 Isn’t it simply the cross of St.George? I can understand why the Red Cross wants to protect the use of the symbol, but a panto? Has it lost its sense of proportion, doesn’t it have better things to do? Why does the word ‘jobsworth’ spring to mind? La-la land is alive and well. We are living there.